Birds eye faggots, though I can't see too many lamenting their disparition. Do schools still serve up Spam Fritters? Dover KUMB fan wrote: And another thing....Why do all supermarkets suddenly no longer stock any form of pink grapefruit squash?? Not everyone's favourite, but I love the stuff. My local Salisbury's does, in fact I have a bottle in the cupboard at the moment. From their Hi-Juice range. Dover KUMB fan wrote: Breakfast slices. They were like a chopped smoked bacon / sausage mish mash. They were damn good for a quick sarnie. George Best used to advertise Cookstown sausages attributing all his skills to this hearty breakfast fare. Probably still out there on you tube somewhere! Harry Hound wrote: Birds eye faggots, though I can't see too many lamenting their disparition. They were always second best to http://mrbrains.co.uk. Waitrose were doing fresh faggots in their "essential" range until fairly recently - lovely they were, wrapped in bacon. Could go for a plate of them tonight. 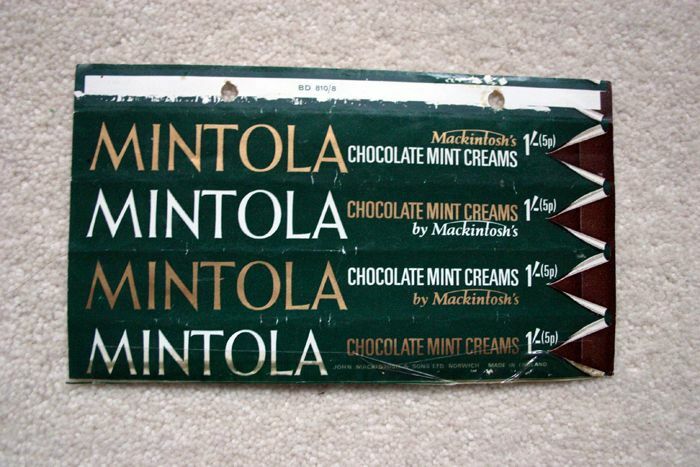 You can still get them, but, as with everything else of a similar nature, they've been downsized, so that lovely thick lump of chocolate - that we as kids used to nibble off, working a way around the whole bar - is now about a millimetre thick. As in "green sheets of dry lasagne"? You can get that everywhere, no? Most likely they sell it in Waitrose or some of the larger supermarkets. It's still out there. Bizarre - can't think of a supermarket that doesn't stock it round here. I bet you could get it online if you really wanted. sendô wrote: Mintolas, aka Mint Munchies. Saw in Sainsbury's, little squares of After Eights. Know they're not the same, but could be similar? Watney's cans of 'Party Seven'. vmixture wrote: Do schools still serve up Spam Fritters? You can still get a beer which calls itself White Shield, but it is not the same stuff despite what the label says. Now brewed by Coors and marketed in 500ml bottles.